Emerge from your cocoon more beautiful than ever wearing this See by Chloe™ top. Embroidered butterfly appliques at right shoulder. 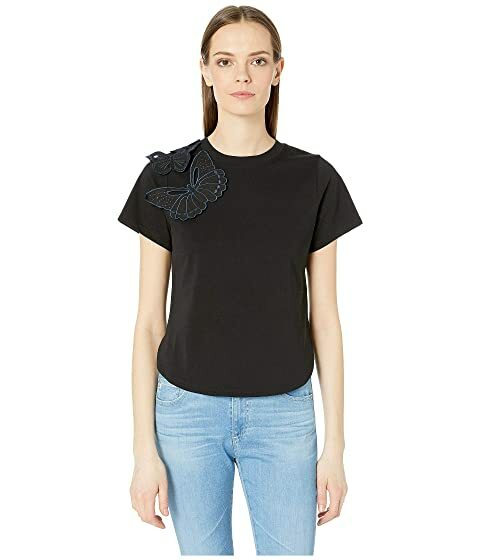 We can't currently find any similar items for the Embroidered Butterfly Crew Neck T-Shirt by See by Chloe. Sorry!